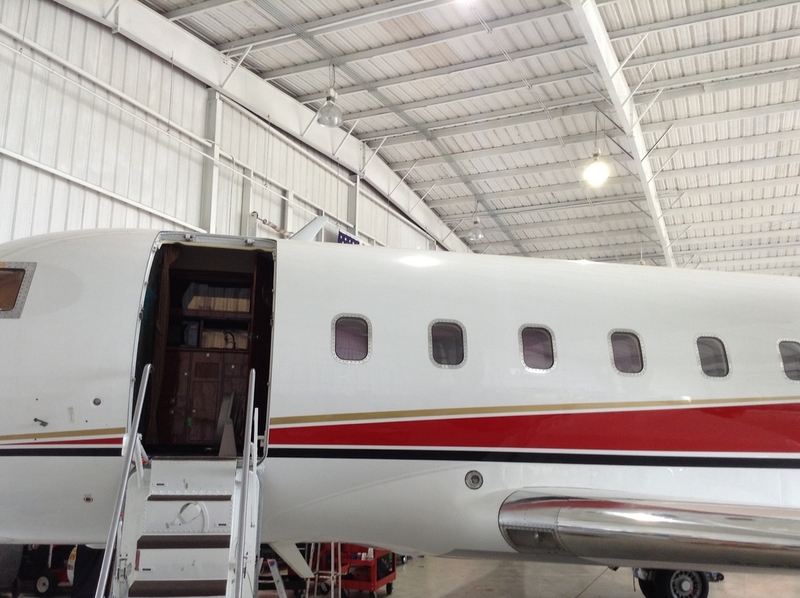 1982 Challenger 600 PRICE REDUCED! Overall White with Red, Black, and Gold Stripes. Interior: Refurbished in May 2007. Fireblocked. Classic spacious Challenger Wide-Body Cabin with a Ten Passenger Executive Interior. A Jump Seat is available for a Cabin Attendant or an Eleventh Passenger. Forward Cabin Four Chair Club Seating Arrangement. Aft Cabin Berthable Four-Place Couch opposite a Two-Place Executive Chair Club layout. Fold-out Executive Tables. Cabin Seats are upholstered in Beige Leather with the Couch covered in complementary Patterned Beige Fabrics. Hi-Lo Sculptured Beige Carpeting. Beautiful Hardwood Veneer Woodwork throughout. Passenger Entertainment System includes dual DVD players with forward and aft Flat Screen Monitors. Wireless Headsets.Universal CD-200 Moving Map Display. In-flight communications facilitated by an Iridium ST-3100 Satellite telephone and a Wulfsberg Air-to-Ground phone system. Full Service Galley located forward opposite the Main Entry. Private aft Lavatory with Vanity.